Captain Robert Ed Sandlin passed away suddenly in his home in Campton, Kentucky on December 27, 2018. He was born to Edmorris Sandlin and Myrtle Coffey Sandlin in Austin, Indiana on December 24, 1941; he was the only child born to his parents. He graduated from Scottsburg High School and was awarded an athletic scholarship at Butler University where he played basketball. He was an active member of the fraternity Lambda Chi Alpha while at Butler and graduated in May 1966 with a Bachelor’s Degree in Education. He entered the United States Army on September 16, 1966 and served as a Captain in the 11th and 14th Armored Cavalry Regiments, serving in Viet Nam, Cambodia, and Germany with the Blackhorse Regiment. While in Germany he met his wife of twenty-seven years, Ute Brautigam, affectionately known as Suzanne to most and Sputzi to Bob. They married November 4, 1970 and one daughter was born to this union, Natascha Sabine Sandlin. He has two grandchildren, Jack Robert Tomlinson and Maria Grace Tomlinson, both of South Bend, Indiana. Following his military service, he entered the world of Amoco Oil as an executive in the Midwest region and was an exemplary employee for thirty-one years. He earned many accolades during his tenure at Amoco. When he retired in 1997 he relocated to Campton in Eastern Kentucky and enjoyed twenty-one years with his “mountain family.” He impacted many lives as “Uncle Bob” to his mountain family and “Papaw Bob” to his grandchildren. He was very involved as a father figure in the lives of his cousins. He was an active participant in his grandchildren and cousins’ scholastic and sporting events. Bob’s mantra for life was the four F’s: Faith, Freedom, Family and Friends. He enjoyed music, watching sports, and the giving of gifts of chocolate covered cherries, and Cadbury eggs depending on the season, and Dairy Queen gift cards to all he knew on their birthdays. While living in Kentucky he was honored as a Kentucky Colonel. He was an active member of the Catholic Church of the Good Shepherd. He was also an active member of the cancer support group and was himself a cancer survivor of forty – five years. Both his parents and his wife preceded him in death. He is survived by his daughter, Natascha Sandlin Howe (Erick Howe); his grandson, Jack Robert Tomlinson; and his granddaughter, Maria Grace Tomlinson. Funeral services will be held on Saturday, January 19, 2019 with visitation starting at 4 pm at Porter and Son Funeral Directors in Campton, Kentucky, with family visitation at 3 pm and a military ceremony at 6 pm. Dinner will follow at the home of Wanda Fields. A funeral mass will be conducted at the Campton Catholic Church of the Good Shepherd on January 20, 2019 at 9 am. A celebration of life will be held May 25, 6 pm, at the home of Wanda Fields. In lieu of flowers, memorials can be given in his name to the Wounded Warriors Project. Allons! 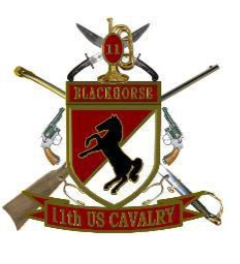 I am Matt Boal (former Bengal 3 and Bengal 5, 2006-2009 at Fort Irwin) and a life member of the Blackhorse Association. I am writing you to ask for help in publicizing a research request on behalf of Dr. Robert Cameron, the Armor School Historian. Dr. Cameron is researching the various Cavalry competitions that occurred in Europe during and after the Cold War (such as Boeselager and the USAREUR Cavalry Cup). He is looking for help in assembling historical documents, photos and other material from those Troopers that participated in some way in the competitions. Doc is interested in team photos, training plans, SOPs, training guidance, news articles, team lists…just about anything related to European Cavalry contests. In the short-term, Dr. Cameron is assembling a body of documents concerning the competition while in the long-term, I believe he is planning to write something like his recent publication about the Canadian Army Trophy tank competition, which he published this year. For contact information, please use Dr. Cameron’s email: Robert.s.cameron.civ@mail.milopens in a new window. I can be contacted at boal.matthew@gmail.comopens in a new window. I’d be happy to answer any questions you have and hope we can make something happen. You can contact me by email, or feel free to call me anytime at 760-977-6453. 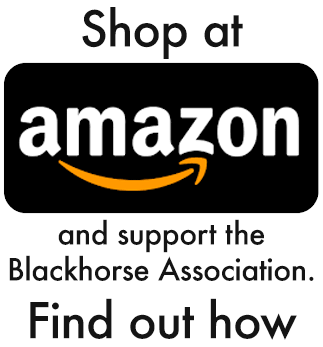 As we approach our 2019 Reunion in Vegas, the Blackhorse Association is requesting donations for the Silent Auction. Proceeds from the Silent Auction assist in funding our annual scholarships. We had a great response last year and exceeded our expectations. So we have set our goal to exceed last year in both participation and funds raised for the scholarship. To that end, we ask that you set aside items you wish to donate to the cause and ensure they travel with you. In the coming months, we will provide an address to mail your items. The cut-off for registration is May 1, 2019, but we are hopeful that you will complete your registration earlier than this because we are expecting a large crowd. To receive the special group rate, enter A9BAC06 in the Group Code field. The Southeast Blackhorse Regiment Mini-Reunion was held in Neptune Beach, Florida October 12-14, 2018. This was the third year for this event, and it continues to get better. As in previous years, it was held at the Seahorse Oceanfront Inn, with dinner at the German Schnitzel Haus on Saturday night. The reunion started with a social at the Lemon Bar, which was located at the hotel pool area. We had over 10 troopers at the Lemon Bar on Friday evening, plus spouses and guests, and we even had a couple of other vets join us for a few drinks, once they saw we were a military reunion. One was Red Horse (Civil Engineer) in the Air Force. He wanted to know what a Blackhorse was. Memorial Ride. John was the president of the Florida chapter of Blackhorse Cavalry Regiment Motorcycles at the time of his passing. We had a morning formation in the hotel parking lot; four troopers, a spouse, and Tina, the girlfriend of the late, John Clark were there. Once we got out of Jacksonville traffic, we took a scenic ride along the east bank of the St John’s River, then traveled West to the Prairie Creek Conservation Cemetery for a short memorial to John Clark at his grave site. We were met at the grave site by John’s daughter, Staziia, and his sister Connie. We then returned to Neptune Beach to prepare for the evening’s festivities. We rode just over 200 miles with four stops in addition to the cemetery. 50% off regular price. Others went to the beach, shopped, visited area attractions, or just relaxed. Saturday night, the Schnitzel Haus had the patio prepared for us, complete with a German band. It was a great night of reliving the Blackhorse years, eating, catching up, drinking, prizes, and fun. Jerry Box received the oldest trooper award, although the regiment had companies rather than troops when he arrived in 1956. He shared a yearbook of the regiment from his time. This was a special treat for attendees. A good time was had by all, but I forgot to bring a sign-in sheet this time. A rough guess is there were around 31 people at the dinner. The scholarship committee has compared notes and distilled them down to some pithy helpful points to aid our applicants in obtaining this scholarship, and hopefully others, in your quest for an affordable education. There are no magical solutions. These points may seem simple and obvious, but we would nothave compiled them if they did not need to be stated. These items are overlooked so often that we felt it was important to provide a succinct series of principles to aid our applicants with a competitive edge. It is our aim to award scholarships, and we want it to be challenging to pick the best applicants and/or force the Association to raise more money. However, many packets are so poorly compiled that many of them self-eliminate. The points below are meant to be taken on face value, and we are always happy to take direct questions before the application deadline. Package neatness and completeness appeal to a sense of order. Typing looks best. Some handwriting can be hard to read and typing will avoid any noticeable corrections. The applicant’s name should be on every page. Labelling the attachments correctly saves time and presents neatness. Recommendations should be signed and include the author’s contact information. Ensure that your letters of recommendation have some kind of “official” letterhead on them, and that the relationship with you is understood. Narratives should address the question or topic and be compelling. How does it relate to you and your endeavors? Your essay or other written work should be updated. The content and the date on the document should be recent. In an essay, explain how the last year went and how it is shaping your future endeavors. Request that your letters of recommendation address reasons why you are deserving of the scholarship – not just a list of accomplishments or fount of platitudes. Providing a high school transcript for a college freshman helps maintain a narrative of achievement and credibility, but can be eliminated once the college transcript has more than one semester of record. Be professionally individualistic. Have an individual style without flamboyance. There are boundaries to professional writing that are used to understand your ability to communicate in writing. Regardless of your future professional and scholastic endeavor, too much panache connotes familiarity and flippancy. Be clear about what you are trying to learn and for what purpose. If it is still unclear to you, then explain what your path and plan for discovery is. No degree, university, or life status gets special favor from the scholarship committee. Compile achievements like a resume. Resumes take on many forms, but they are consistently coherent, concise, and recently updated. A list of high school achievements from a college sophomore is outdated. A series of scanned certificates and emails is clutter and portrays laziness. Be well rounded, tell us who you are and what you do to demonstrate your diverse passions. When listing your accomplishments, be sure to list all types – academic, sports, extracurricular, and volunteer. Demonstrate a broader approach to investing time and effort. The best narratives have one main point per paragraph. A rambling single long paragraph that interweaves between statements on multiple topics is distracting and hard to follow. Use pictures sparingly and with a purpose. Manage all of your own correspondence. Mail your packet. Follow up to see ifit has been received. Ask questions. Read over what you write and have others read it for content and clarity – don’t rely on electronic spell checkers. A best practice, whether or not you receive the scholarship, is a polite thank you and even follow up email or letter explaining how it has helped you reach your goal. These often get shared and the few applicants who take this extra effort have instant name recognition the next year. Your packet does not all have to arrive in one mailing. I understand that letters of recommendation, transcripts, and other portions may come in separate modes. I will consider a packet as being received by the deadline if I have any portion of it postmarked by April 1. Your packet can be completely emailed, but check how well it scanned and prints. A great packet can be marred by a poor scanner. 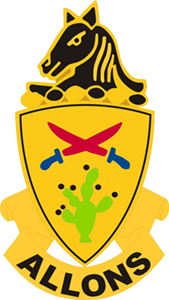 The scholarship is only for children of 11th Armored Cavalry veterans. Some Association members would like to expand eligibility to spouses and grandchildren, but that is not a financially viable option at the moment. The scholarship is for undergraduate studies. We are not able to expand, at this time, to graduate school students. The Association’s grading practices favors children of veterans who were wounded or killed while assigned to the 11th Armored Cavalry. It also favors previous awardees. But these attributes alone do not guarantee the scholarship. The packet as a whole still gets graded by a committee of five. I will provide applicants individual feedback if you are interested. Just schedule a call by contacting me at Robert.lee.hatcher@gmail.comopens in a new window or 804-621-3651.